La situation de Calais sur le détroit de la Manche ont fait de la cité un territoire convoité. 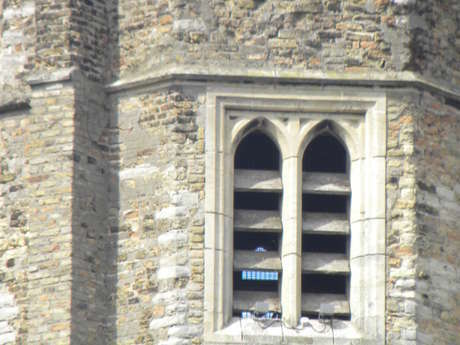 Calais, a fortified city? It makes perfect sense when you consider its geographical location. Between the Middle Ages and the World Wars of the 20th century, its proximity to England and, for a time, the Spanish Netherlands made it a much-coveted region. Furthermore, as well as being an English city for 2 centuries (1347-1558) after the Burghers of Calais incident, it was also a Spanish possession at the end of the 16th century. So Calais was often forced to defend and protect itself. 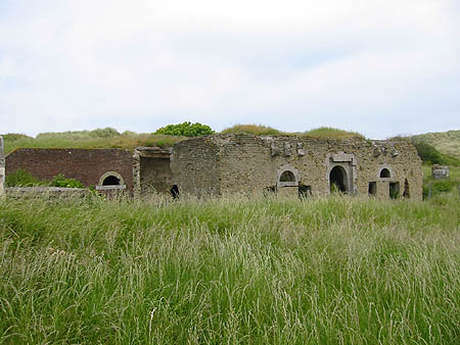 Many of these structures have disappeared, including the 13th century castle and walls of medieval Kaleis, which corresponded to what is now the Calais Nord quarter. In 1228, Lord Philippe le Hurepel, Count of Boulogne, began building the medieval defences, surrounding them by ditches. With its port, formidable fortifications and trade, Calais attracted the interest of the English king. Now only a few traces of medieval Calais remain. Among these is the Tour du Guet (watchtower). The city’s oldest surviving building, it stands at the heart of this quarter which, having been heavily pummelled during the Second World War, is now a fine example of post-war reconstruction. The ramparts may have gone... but the forts are still there! Over time, a ring of forts protecting entrances to the city also took shape. Those that remain today share a common feature: the yellow brick from which they were built, because sand was, of course, an abundant raw material for local builders! Each fort had a precise role, which was sometimes thwarted over the centuries. In the city centre, the citadel housed the garrison and you can still see part of a wall and a tower from the Kaléis of the Middle Ages. 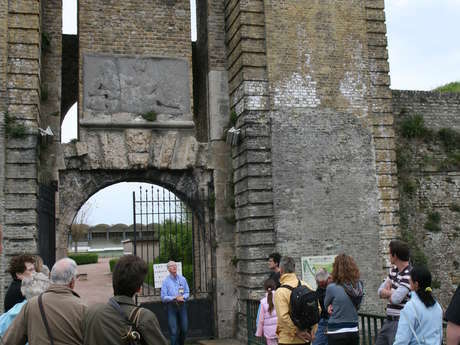 At the port entrance, Fort Risban, built by the English during the 1346-1347 siege, controlled access to the port and Fort Nieulay, the old toll bridge, watched over the western approach to the city. It is a rare French example of a fortified sluice bridge and was the military engineer, Vauban’s main project in Calais. 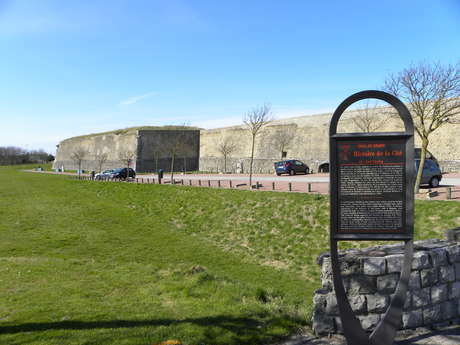 In their respective eras, the French engineers Jean Errard (16th century), Vauban (17th century) and Séré de Rivières extended and remodelled the forts of the Calais region and contributed to discussions about how the region should be defended. Fort Nieulay, the Citadel and Fort Risban are well worth a visit, especially on Euroregional Fortified Sites Day (last weekend in April). Other coastal forts, each with their artillery pointed out to sea, completed the fortifications. The eastern part of the port of Calais was protected by Fort Vert and Fort Rouge protected the port entrance. The third, Fort Lapin, watched over the western part of the port. Situated near Blériot Plage, it can still be seen today and is currently undergoing restoration. 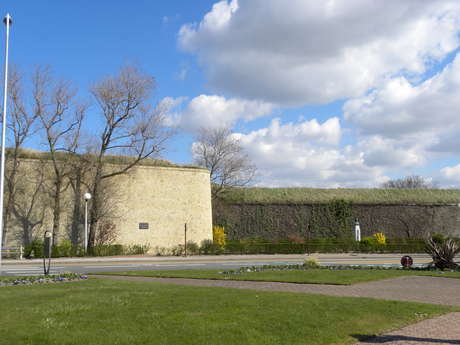 The “latest generation” of fortifications formed part of the Atlantic Wall constructed during the Second World War because the Pas de Calais had been identified as a potential site for the Allied landings.